Tired of muscle cramps? Having them often? Try magnesium. Muscle cramps tend to come upon us when our magnesium/calcium balance is out of sorts. It often shows up as muscle cramps. This advice came in helpful with my third pregnancy. I was having terrible leg cramps at night. The recommendation to increase my magnesium levels was a lifesaver for me. I have been learning all about the benefits of this essential mineral. It is amazing that something so small can have such a profound effect on people. Some of the newest drugs on the market are for restless leg syndrome. I first heard these and thought "what a bunch of crap, making up another disease to get people on your drug." Then later on I thought, "Hmmm my restless legs and cramping, was it restless leg syndrome? I attributed it my being pregnant, but what if I wasn't pregnant, would it have been restless leg syndrome?" As time has gone on I realized I did not have restless leg syndrome. I was very magnesium deficient due to three pregnancies close together. There are many that believe that restless leg syndrome is no more than a sign of magnesium deficiency, but there is no real big money to be made in selling something that is already found in nature. Therefore, you have people selling you these drugs which is big money. You may not need expensive drugs, you may just need more magnesium in your life like I did. The more I study about this vital mineral the more I see the truth. 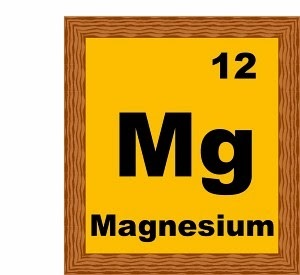 Herbal encounters has a great article about magnesium. It explains in part why we get the restless legs and cramping. It has some suggested foods and other ways to get this mineral into your life. Getting enough magnesium in your life is crucial. For those who are very deficient and cannot absorb minerals due to digestive issues, or for those who are needing an extra boost of minerals, a magnesium gel or spray can work wonders. You can buy magnesium sprays or gels, or simply make your own. Health extremist has a great tutorial on making a magnesium spray. There are also many other websites out there that explain how to do this. It is extremely simple and easy to do. In fact, it is so simple that many would scoff at the notion that something so simple could really work. Bathing in Epsom salts is also an easy and frugal way to get the benefits of magnesium into your life. An Epsom salt bath before bedtime can alleviate the nocturnal leg cramps. It is also helpful in relaxing the body and helping you sleep better. TRY MAGNISIUM. SEE WHAT IT CAN DO FOR YOU AND YOUR HEALTH. Check out these Epsom salts for a wonderful calming bath. (Sold by Amazon). You can also check out some of the magnesium gels and sprays also available at Amazon. Magnesium is definitely and essential nutrient for the body and can help with muscle problems. My husband and I both take magnesium supplements daily. thanks for sharing your very useful information. Visiting from Home Acre Hop. Have a healthy wonderful day. Do Magnesium tablets work which are magnesium oxide? I had hyperactive parathyroid which caused me to have excess calcium. I was getting migraines all the time. Come to find out my body was excreting the excess calcium which took magnesium with it. Had two of the four parathyroids remove and now hardly ever get a head ache.